Set along the picturesque shoreline of beautiful DeGray Lake, the course winds its way through a mixed forest, while traversing rolling hills, across open fields, and over streams. 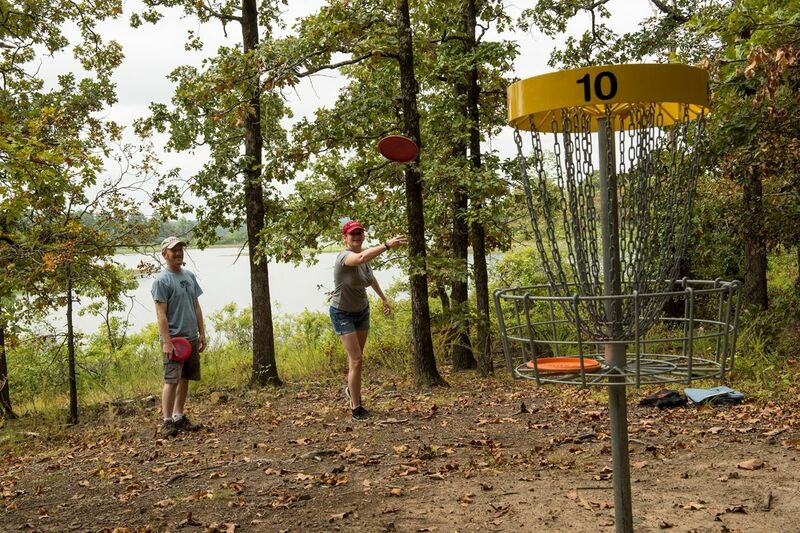 This free public course was created by professional disc golf course designer and Arkansas native Matt Loyd. It is family friendly and has challenges for all skill levels. Disc golfers will appreciate the concrete tee pads, the Innova DISCatcher Pro targets and custom tee signs with equipment hooks. There are also benches at every other hole. The holes vary in length, terrain, and difficulty to offer enjoyable challenges for players every skill and experience level. With the front nine and back nine each beginning and ending at the park visitor center, guests have snacks, drinks, and restrooms available. Loaner disc golf sets and discs for purchase are available at the visitor center for those without the essential equipment. The course is open during daylight hours.